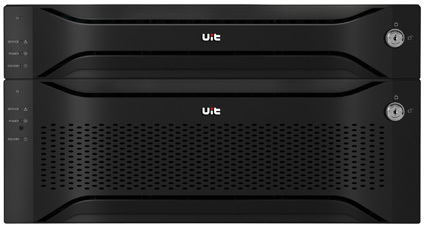 UIT enterprise storage products include SV3000G2, SV5000G3, SV8000G3, SV8800G3-F, SV8000G3-F, SV5000G3-F, and dual-active solutions. Based on efficient, reliable, green and easy-to-use concept design, the SSD solid-state storage system architecture is adopted in the software and hardware architecture, which fully considers the application requirements of low-latency, multi-concurrency and high IOPS to meet medium and large databases, high-performance computing, and OA. Large-scale random data processing applications such as systems, big data analytics, and virtualized data centers are widely used in finance, power, government, manufacturing, energy, medical, transportation, logistics, wholesale and retail, education and research industries.